Kinda cool but needs context. Do you ever wish for an easier way to show your uninitiated friends what you mean when you say Android is growing? 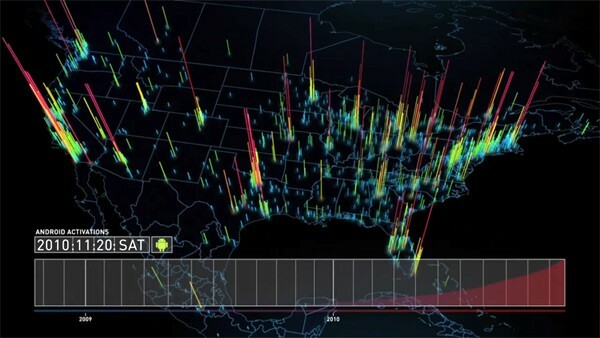 Well, here's the video for you: a Google-produced map of the world that throbs with Android activations over time, highlighted by some truly eye-opening flourishes in the immediate aftermath of marquee handset launches. The Google guys have even given us handy countdown timers -- "Droid launch in 3, 2, 1..." -- and broken things down by continent for easier viewing. Only thing missing is a soundtrack, so just have your Tron: Legacy OST loaded up and ready before jumping past the break.